When it comes to finding donors for your annual fundraising campaign, nonprofits like yours often run into trouble securing donors to make the gifts they need to reach their goals. After all, it can be hard to solicit unrestricted gifts, especially from new donors. This is why your nonprofit’s best bet is to retain donors from past campaigns to serve as your annual fund’s core supporters and inspire dedicated returning donors to become peer-to-peer fundraising volunteers! In this guide, we’ll go over some of the basics of retaining donors for your annual fund, offer up ideas for boosting retention year after year, and give you some tips on increasing your community of peer-to-peer volunteer fundraisers. What is an annual fundraising campaign? Every year, nonprofits of all shapes, sizes, and missions solicit donations for their annual fundraising campaigns. These special campaigns support an organization’s annual fund, the subset of their budget allocated toward covering operational costs and essential expenses. Many nonprofits find it tough to solicit gifts for their annual funds because the objectives of the fundraiser are less immediately apparent to supporters. However, if you can’t reach your annual fundraising goals, then you simply won’t be able to carry out your mission! Why is annual fundraising important? Your annual fundraising efforts aren’t just part of keeping your lights on: these campaigns also build your community. Annual fund donors are among your most dedicated, and your annual fundraising efforts help strengthen bonds between them and your team. Not only are these givers important partners in reaching your fundraising goals, but annual fund donors are also the individuals you’ll count on to attend fundraising events, participate in peer-to-peer fundraising campaigns, and keep up your fundraising momentum. Why is donor retention important to annual fundraising? It’s absolutely essential that your team brushes up on some donor retention best practices to reach your annual fund goals. 60% of your donors will only give once, so it’s time to put retention at the forefront of your strategy. When your nonprofit cultivates a robust list of repeat and recurring donors, you’ll never have to worry about falling short of your goals. Further, by emphasizing peer-to-peer fundraising opportunities, you can also retain the support of individuals motivated to go the extra mile by advocating for your campaign to their personal networks online. Learn more about annual fundraising. 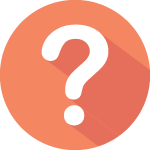 What are the best ways to retain annual fund donors? Your annual fund supporters are some of the most important constituents you have. The best way to keep them coming back to give again and again? Take your engagement strategy up a notch! When your nonprofit becomes a seamless part of their day-to-day lives, making regular gifts to your annual fund or launching a peer-to-peer fundraising page will be a no-brainer. Take a look at some of these smart ways to stay front-of-mind with your annual fund donors and fundraisers. One great retention strategy for annual fund donors is to turn them into peer-to-peer fundraising volunteers! Whether they’re ready to make another gift to your cause or would prefer to fundraise on your behalf, this is a great way to leverage their support to reach your goals. Another way to retain more donors for your annual fund is to maximize your opportunities to upgrade donors. Include easy recurring gift opt-in buttons and gift suggestions on your online fundraising form, and don’t forget to promote matching gifts to your supporters! By offering supporters the ability to give to your annual fund via your online fundraising page, on-site donation kiosk, or through text-to-give, you boost your chances of them returning to give again! Be sure to promote these giving channels in your annual fund marketing efforts. Acknowledging your supporter’s gifts can go a long way towards retaining them for your annual fundraising campaign. One powerful way to acknowledge their support is by sending personalized thank-you letters after they donate. Looking for more acknowledgement strategies? Jump to the next section! Did you know that between Thanksgiving and New Years, nonprofit giving surges? Whether its the holiday spirit or tax-savvy donors, this giving season is a great time to turn past givers into returning supporters with a year-end gift to your annual fundraising campaign. By hiring a fundraising consultant to help your team retain more annual fund donors, you can learn from their expertise and benefit from their partnership. Learn more fundraising consultant strategies by checking out Averill Fundraising Solutions’s hiring guide for fundraising consultants! Learn more annual fundraising strategies. How can we acknowledge the support of our annual fund donors? By far, one of the surest ways to retain your annual fund supporters is to properly acknowledge them after they make their gift. This way, you can be confident they know how much their support means! When your nonprofit lets donors know that you care, they’ll be more inspired to become repeat givers to your annual fund and to keep fundraising on behalf of your nonprofit. Check out some of our favorite ways to acknowledge annual fund supporters to boost retention. 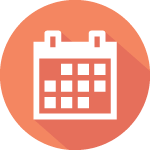 Keep track of your giving acknowledgements by creating an acknowledgement calendar! 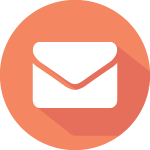 Track solicitation letters, calls, social media posts, and in-person acknowledgements with this resource. This way, your entire team can stay on track with thanking your annual fund donors and peer-to-peer fundraising volunteers. When you acknowledge givers on your social media channels, you can accomplish two things: promoting your annual fundraising campaign and showing givers you care! Post shout outs and spotlight supporters in videos on your Twitter, Facebook, and Instagram accounts. There’s nothing worse for retention than sending out impersonal gift acknowledgements. Your nonprofit can increase the chance of retaining annual fund donors by personalizing acknowledgements to your donors and volunteer fundraisers. With the right peer-to-peer fundraising platform, you can even automate these messages. Even if it’s been a while since a supporter has made a gift, you can still retain them as an annual fund donor. Simply send them an acknowledgement of their past donation(s) to remind them about your cause. Later on, you can follow up with a direct solicitation or an invitation for them to join your peer-to-peer fundraising efforts. Individuals who have made large gifts to your nonprofit in the past are great candidates for annual fundraising. Focus on retaining these individuals by extending special acknowledgements for their very impactful gifts. Never let these key supporters feel taken for granted! Acknowledgements shouldn’t only be extended directly after giving. Your team can ensure donor retention for your annual fundraising campaign by sending out “just because” acknowledgements thanking individuals for their continued support as a donor or volunteer. Learn more about retaining donors. 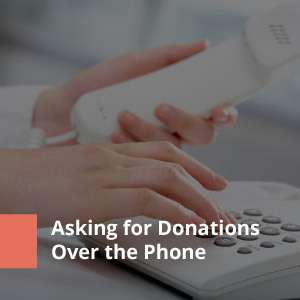 Giving your past donors a call can be the key to turning them into retained annual fund donors. Find out more about making phone solicitations! Learn more about making asks over the phone. Your team can connect with annual fund donors on social sites to boost retention. Check out Salsa’s guide to fundraising on social media to discover more! 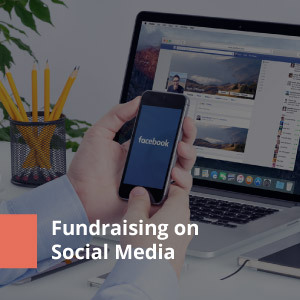 Learn more about social media fundraising tactics. Still looking for more info on annual fundraising? Check out Double the Donation’s ultimate annual fundraising guide to become an annual fund expert! Learn more about annual fundraising strategies. Ready to boost your donor retention rates for your next annual campaign?